The Psalms are widely regarded as among the greatest poetry ever written and, after the Gospels, they are probably the most commonly read part of the Bible. They are a regular part of the Church's worship and are a source of comfort and inspiration to Christians throughout the world. Remarkably enough, there is a scarcity of modern commentaries on the Psalms for the more general reader, though after the Gospels, they are probably the most widely-read part of the Bible.No one is more qualified to write on the Psalms than John Eaton. He is a distinguished Old Testament scholar and has spent a lifetime studying the Psalms. This commentary is addressed to the wide readership. 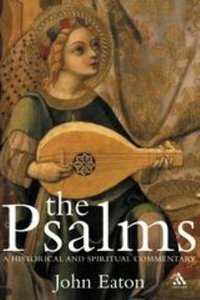 There is a long and highly readable introduction giving a background to the Psalms; then follow the 150 Psalms, each in Eaton's translation. He explains the background to the Psalms and their content in a way that makes them interesting and relevant to the present. The discussion of each psalm ends with a related Christian prayer, either from the tradition or written by Eaton himself. John Eaton is recognized as one of the world's leading experts on Psalms: this commentary is the culmination of his life's work.John Eaton lectured in Old Testament at the University of Birmingham until his retirement. He is the author of many books, especially on aspects of the Psalms. Preface; Abbreviations; Introduction; 1 The Importance Of The Psalms; 1a Words From Worship; 1b Antiquity And Integrity Of The Psalms; 2 The Authors; 2a Relevance Of Headings; 2b David; 2c Female Psalmists; 3 Psalm Music; 3a The Singing; 3b The Instruments; 3c The Character Of The Music; 3d The Significance Of The Music; 4 The Poetry Of The Psalms; 4a Patterns Of Thought: Parallelism; 4b Stanzas And Metre; 4c Types And Forms; 4d Types And Forms; 4e Alphabetic Psalms; 5 The Ancient Situations Of Psalmody; 5a Contexts In History; 5b Contexts In Worship; 6 The Experience Of The Holy; 6a The Unique God; 6b The Name 'yahweh'; 6c Other Divine Names And Titles; 6d The Fountain Of Life And The Face Of God; 6e Turning Aside To God; 6f Zion And The House Of The Lord; 6g The Mystery Of God's New Reign; 6h The Lord's Royal Servant As Channel Of Salvation; 6i Bringing Sufferings To God; 6j Lament Turning To Praise; 6k Prayer Against Enemies; 6l Counsel And Encouragement; 6m Knowing God Through His Tora Or Word; 6n Discovering God In Perplexity; 6o The Question Of Life After Death; 6p Community And World Before God; 7 The Psalms Down The Ages; 7a The Headings; 7b Division And Order; 7c Ancient Translations; 7d The Dead Sea Scrolls; 7e Midrash And Synagogue; 7f The New Testament; 7g Early Christian Worship And Exposition; 7h Mediaeval Use; 7i The Reformation; 7j Eighteenth Century Foundations Of Criticism; 7k The Nineteenth Century; 7l The Twentieth Century And Beyond; Commentary: Psalms 1-150; Bibliography; Index.